Trending at $18.96eBay determines this price through a machine learned model of the product's sale prices within the last 90 days. This processor has been removed from a working Unit. We are dedicated to making sure you receive the item in complete working condition. It was pulled from a used laptop. Unit shown is of the item you will receive. Processor Only. Model : i5-2520M. Processor Only. Model : i7-4800MQ. The T9550 clocks in at a base frequency of 2.66GHz, is a Dual-Core, and has an L2 cache of 6MB. These processors will fit the socket type PGA-478 and PGA-479. Product Specifications. None/Processor only. 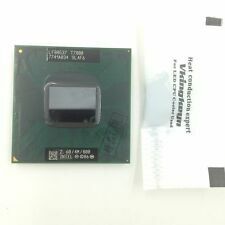 One i7-3540M laptop CPU pulled from a retired unit. Ensuring compatibility is your responsibility. We cannot be responsible for compatibility issues. Part Number: SR0MX. Type: Core i5. Socket: G2. Platform: Laptop. Core Speed: 2.60GHz. All manufacturers' warranties are void unless otherwise stated. P/N: SR0UV. Core i7 3rd Gen. Core Count: 4. Warranty applies to hardware only. Included Cooling Components: None/Processor only. Clock Speed: 2.7GHz. L2/L3 Cache. 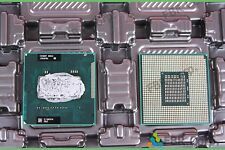 This CPU was pulled from a working computer and ready for use upon arrival. Everything has been tested and reset by our technicians. 2 (Dual) 2.66GHz. Product Specifications. None/Processor only. LOC: Frey 35 : (JY) SR048 (FRU: 04W0492). Sale is for CPU only. We are sorry for any inconvenience this may cause. No exceptions. Pulled from a working laptop for an upgrade. Works well, but has scarring on the CPU die from previous owner/technician; see pics above. Cleaned (as best as possible) with 100% Isopropyl Alcohol, ready to drop in a laptop. The second core can automatically pick up the slack. This processor provides 4MB of L2 cache, which can enable you to access important cache data quickly and without lag. A front side bus (FSB) speed of 667 MHz transfers data quickly within the chip, so your applications can be kept snappy and responsive. This is a used part but is in very good condition. 2.7GHZ Processor. Genuine Item, pulled by our technicians from a working laptop. Tested good. 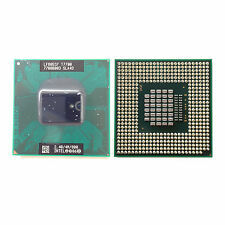 SR0V0 Intel i7-3632QM Quad-Core 2.2GHz Socket G2 Laptop CPU. Condition is Used. Shipped with USPS First Class Package. Only the CPU is included. This CPU may have thermal paste on the heat sink. Your laptop's CPU is essentially the brain of the device. This is the part that will load the operating system, start any programs, run those programs, retrieve data for you, and monitor your computer's performance. The processor is at the core of your laptop's functionality, and you can explore eBay to find a model with the features and specifications that work for you. What is a processor's clock speed? How many cores can you get? What types of processors are there?